The Backcountry Gambrel is ideal for processing game away from home. Easily stored and transported, this essential piece of hunting equipment has an adjustable spreader that can be set at 21" for big game and 13" for small game. 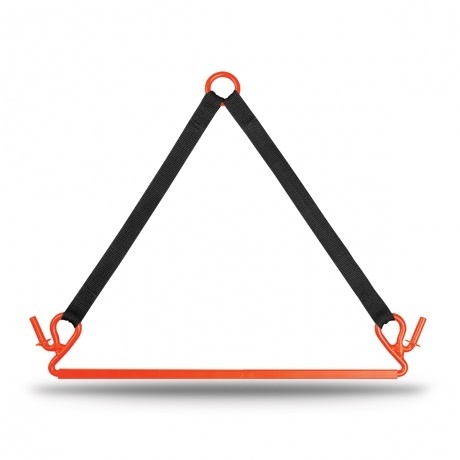 It features a sturdy top ring for hanging and nylon web straps that attach to the spreader bar. The Gambrel is rated to 500 pounds, making it more than strong enough for most processing applications. Rated to 1500 pounds, yet light and easy to use. All steel stock rod. 21 inch spreader bar. Prefect for deer.